On April 11, 2017, the fifth session of the 13th Supreme People’s Assembly (SPA) of the DPRK convened at the Mansudae Assembly Hall in Pyongyang. Such meetings are routine events taking place annually in the spring. Neither the parliamentary session nor its timing in 2017 were extraordinary. Moreover, the meeting was not convened in reaction to the recent moves by the US president including his threats to solve the North Korean issue unilaterally and the dispatch of an aircraft carrier group to the Korean coast. However, the issues discussed at the SPA session provide a glimpse into the inner workings of a country that seems to be high on the agenda of current US foreign policy. The parliamentary session in 2016 had somewhat differed from previous such meetings. This was due to the unusual event of holding a Party Congress in May of that year. In 2017, all features of the parliamentary session—its form, the way of reporting in the state media, the rapporteurs, the announcement of personnel changes—returned to the routine of the past years, with a few minor exceptions. The 2017 SPA session for the first time included a report by the Prime Minister on the achievements of the Five Year Development Plan, which was announced by Kim Jong Un during the Party Congress in May 2016. This part replaced the usual report on the work of the Cabinet. This year, there was also a short speech on the implementation of the 12-year compulsory education system as introduced by Kim Jong Un in the autumn of 2012. Last but not least, the parliament newly created a Diplomatic Commission. This could be just a formality. Or perhaps it is a way to circumvent the current blockade of direct talks with the North Korean government by exploring international channels of dialogue between national parliaments, and as such, indicates a willingness for negotiations. None of these changes, however, implies a sense of urgency, desperation or exceptional condition. This is noteworthy considering the recent Chinese economic sanctions including the refusal to import North Korean coal, the political crisis in South Korea around the impeachment of the president or the recent military threats by the United States including the missile attack on Syria without a UN mandate or US Congressional approval. As I had already observed during my visit to North Korea in February, there was no sign of an extraordinarily alarmist mood. Aside from the usual propaganda about over-fulfillment of production and growth targets, the Prime Minister’s speech included a few noteworthy issues. Like Kim Jong Un in his speech at the Party Congress, Pak Pong Ju singled out the “acute shortage of electricity” as the main issue. The measures taken so far already seem to be effective. During my last visits in 2016 and 2017, I noticed a remarkably stable power supply and many smoking factory chimneys. Policies to that end, according to Pak, include conventional policies such as building new and modernizing old power stations, but also more creative approaches such as the expansion of the number of wind power stations. These developments highlight North Korean efforts to reduce their dependency on the imports of oil, the only natural resource that is not available domestically. In this context, the emphasis of Pak on the so-called C1 chemical industry is to be seen, as it aims for the production of fertilizer using carbon sources other than crude oil. Rather than explaining how North Korea intends to deal with the Chinese refusal to purchase its anthracite for the rest of the year, Pak stressed various ways to stabilize and even increase coal production. These include a focus of investment on particularly productive mines and the upgrading of machinery and technology in the mining industry. Reflecting the general trend of consumerism in North Korea and the promise of Kim Jong Un to improve the living standard of his citizens, Pak expressed the government’s desire to increase the diversity and quality of available products for mass consumption. Concerning agriculture, rather than repeating the Kim Il Sung slogan of “rice is socialism,” Pak promised an increase in the production of meat, milk, fruits, mushroom and vegetables. This can be seen as an indicator that the supply of staple food is secure and that the focus of the government is now on improving the diet of its population. This corresponds with reports of international aid organizations which point at a lack of protein and fat. Adding an extra year to the previously 11-year compulsory education requirement is one of the prestige projects of Kim Jong Un, started only a few months after he took office. As part of this effort, the school system in North Korea was changed in two ways. Elementary school education now takes five years rather than four, and the six years at middle school have been divided into three years at junior middle school (초급중학교) and three years at senior middle school (고급중학교). The background of this measure is not clear, but the amount of resources invested implies a hope to achieve tangible results in education, most likely to produce more highly qualified graduates in the natural sciences. The Minister of Education also proudly mentioned many newly built orphanages. This corresponds with my observations in the past years in areas around Chongjin and north of the capital Pyongyang. Taken together with Kim Jong Un’s Party Congress remarks about the role of the youth, it seems we are witnessing a strong effort by the North Korean government to win back and secure the loyalty of a generation that has grown up with South Korean soap operas, Chinese joint ventures, Western tourists, the continuous presence of markets and consumerism and a growing and visible gap between the new middle class and the rest of the population. The growth rate of state budgetary revenue, which I treat as a proxy for an official GDP growth rate in lieu of any official macroeconomic statistics, has reportedly been 6.1 percent during the last year, indicating a robust growth of the economy that corresponds with my observations in the country. Graph 1 shows the year-on-year growth figures in comparison to the values for the previous years. We find that growth rates and expectations are slightly more modest than in the years before. The growth figure for 2017 is 3.1 percent, 1 percent less than last year’s figure. This could be an indicator of reduced expectations due to the Chinese sanctions on coal. Expenditures, however, are set to grow 5.4 percent and thus in the same range as in 2016. 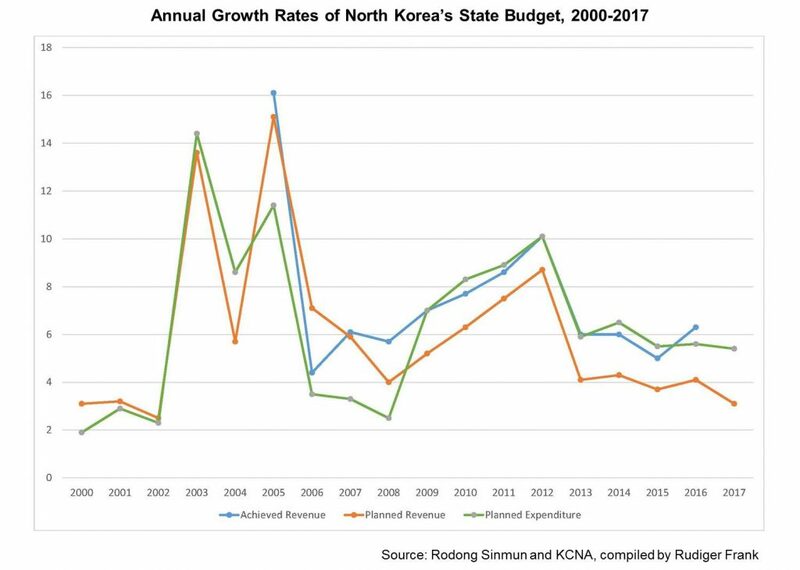 As graph 1 shows, since 2008, the North Korean state has planned to spend more than it earned. The gap between the planned growth of revenue and expenditure for 2017 has widened to 2.3 percent. This could be the expression of a hope for plan over-fulfillment and perhaps the harbinger of another speed battle, which is the typical way for the North Korean government to achieve extra growth. In 2016, two such speed battles took place, together lasting for no less than 270 days. It is questionable whether another such mass mobilization campaign will be met with great enthusiasm by the exhausted population. Whatever the strategy is, it seems to work, as the blue curve for revenue growth in graph 1 was in 2016 above the green curve for planned expenditure, which is usually fulfilled at 99.9 percent and thus equals actual expenditure. In fact, the data suggests that in 2016, the North Korean state, for the first time since 2008, recorded a surplus. 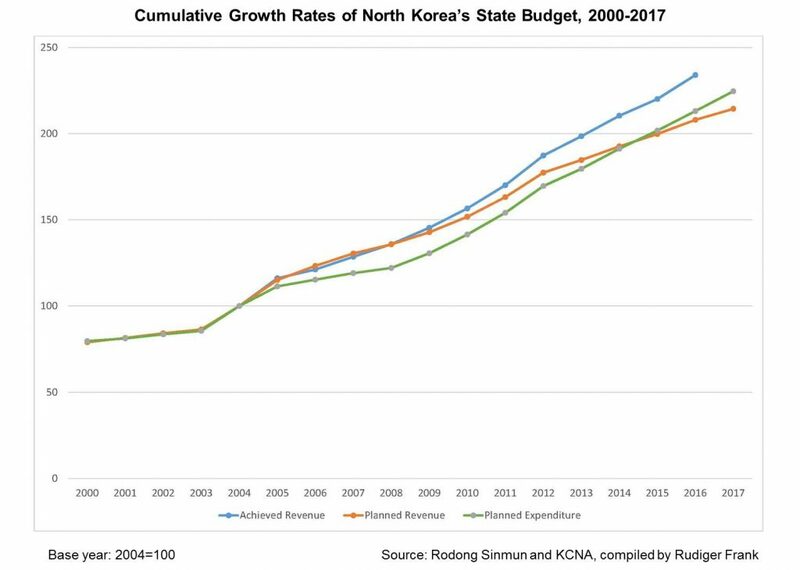 Graph 2 shows that the cumulative value for achieved revenue (blue curve) has constantly been above cumulative expenditure growth (green curve) throughout Kim Jong Un’s tenure. Since 2013, however, the green curve for cumulative expenditure has constantly been above the orange planned revenue curve. This indicates the built-in expectation that the plan will be over-fulfilled. For 2017, revenue from special economic zones is expected to grow only 1.2 percent, which is significantly lower than last year’s 4.1 percent. It seems that North Korea’s leadership is not optimistic about the prospects of the dormant zone in Kaesong, the zone under construction in Sinuiju and the operating zone in Rason. Kim Jong Un does not seem to place high hopes on China anymore. Unlike last year, when nuclear weapons were explicitly mentioned in the state budget report, the military is only briefly considered with its usual 15.8 percent share of the budget. A trend I noted last year has continued. The share of budget revenue coming from “local areas” is planned to reach 26.7 percent in 2017, compared to 23.2 percent in 2016 and a mere 16.1 percent in 2011. This implies that the part of the economy that is not centrally controlled is still growing, an impression I can confirm based on what I saw during my recent visits to North Korea. The Minister of Finance who delivered the report actually said that “Provinces, cities and counties envisage ensuring expenditures with their own local revenues and adding their profits to the state budget.” In other words, their income has reached a stage where they become mainly self-sufficient. This will significantly increase the power of local leaders and spur regional rivalries, which are not only a traditional feature of Korean politics but could also become a threat to central control. Despite harsher-than-usual Chinese implementation of economic sanctions, a political crisis in South Korea and growing military pressure from the Trump administration in Washington, the 2017 session of the North Korean parliament showed no sign of urgency. The event followed more or less the same routine as in previous years. In terms of economic policy, we note a strong focus on energy production and the consumers, and no acknowledgement of any consequences of the Chinese ban on the import of North Korean coal. The remarks on food production imply that starchy staple food is not a problem anymore and that the focus is now on improving the diet of the population by producing more fat and protein. A separate report on the implementation of 12-year compulsory education shows the great attention paid by the North Korean leadership on the young generation. An extra year of schooling and a reformed education system are aimed at improving the ability of graduates to be able to cope with the high-tech plans of the government, but also to strengthen the grip of the state propaganda on the minds of North Korean youth. The newly created Diplomatic Commission could be an attempt to explore international channels of dialogue and thus indicates a willingness for negotiation. The budget report shows slightly more modest growth expectations than in the past years and thus reflects the worsening bilateral relationship with China. The figures also suggest the expectation of a higher-than-planned growth rate, which could be the harbinger of more mass mobilization campaigns in 2017. Expected income from Special Economic Zones has shown its lowest figure in years, pointing at little optimism in Pyongyang regarding the zones at Kaesong, Sinuiju and Rason. A potentially remarkable trend is the growing income of local units such as provinces and special cities, which has reached a point where they are expected to cover their own expenses and even contribute to the central budget. This indicates a growing economic independence and thus also growing political power on the local level. 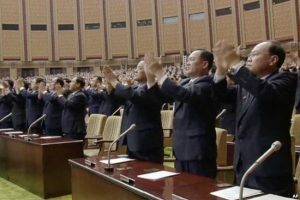 In the long run, such developments threaten central control and contribute to greater regional diversity and competition in North Korea’s domestic politics. State-socialist systems rely on administrative ways to increase production, since material incentives as they are provided by the market are usually absent. Furthermore, as they usually lack capital and technology, they tend to focus on labor as the main production factor to achieve growth. The basic idea behind speed battles is the conviction that socialism is morally superior, and that workers living in such a system have a much higher work-ethic as those who are exploited by capitalists. Speed battles are campaigns that aim at utilizing this moral superiority and turning it into productivity increases. Simply speaking, people are asked or actually ordered to work harder (longer, faster) than usual. In reality, individuals get used to such campaigns and react by preemptively withholding performance during “usual” times in order to be able to show some extra effort without reaching their actual limits. The result is an overall stagnating or even decreasing economic performance. Often, speed battles are thus mainly tools of ideological mobilization to increase political coherence.